That’s what my client RichRelevance – the world’s leading personalization provider as its website attests – is calling it today: the new era of experience personalization. RichRelevance has long provided the software that enables websites to offer up suggested offerings that fit with what they knew about this particular visitor – what’s known as “collaborative filtering”, made most famous by Amazon.com’s technique of showing items introduced by the phrase “Customers who bought this item also bought…”. This is a way of doing what Jim Gilmore and I call cosmetic customization, from our Harvard Business Review article “The Four Faces of Mass Customization”. But it is more commonly called personalization, and it is the type of customization where the functionality of the offering stays the same, but the representation of the offering changes – such as with monogrammed towels, digitally printed T-shirts or personalized (yes) mugs. 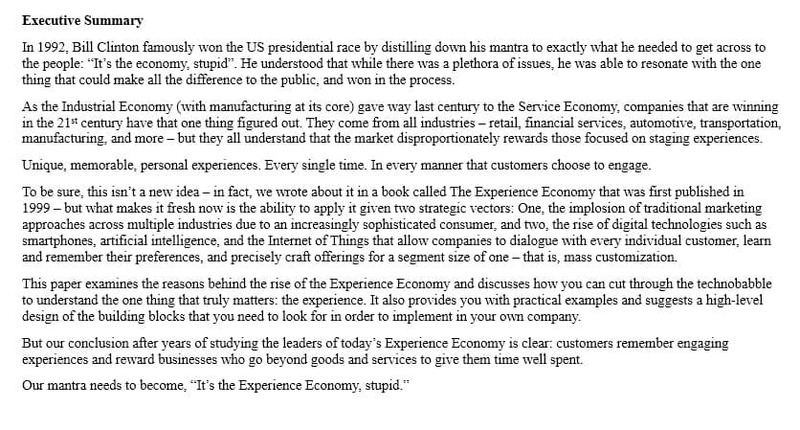 And as we’ve long said, customization enables you to turn goods into services and services into experiences. 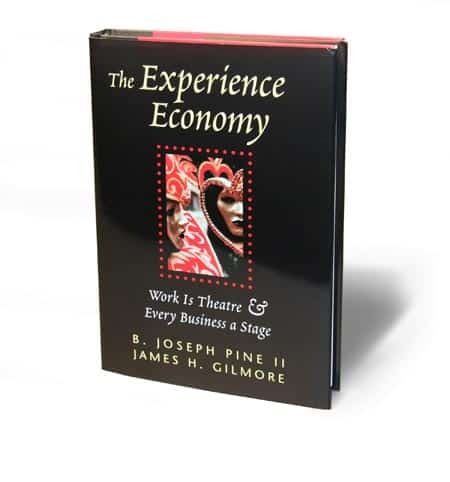 (This is in fact how we discovered the Progression of Economic Value, which you can learn about here: The History of the Experience Economy.) So in enhancing their websites, companies can embrace this technique to create experience personalization online. One of the things I learned while working with RichRelevance is how far this technique of experience personalization goes. Its software can customize not only what offerings a website retailer shows, but all manner of recommendations, content, and even chatbot responses. This enables experience personalization of all online interactions, not just product recommendations. RichRelevance does this by creating a “Contextual User Graph” that understands the full context for each individual user. It is a mosaic of cross-session interactions, a learning model of each individual, affinities and behaviors, desires and intents, as well as associations to particular offerings, channel behaviors, and content preferences. This Contextual User Graph thus provides the base on which all experience personalization happens. 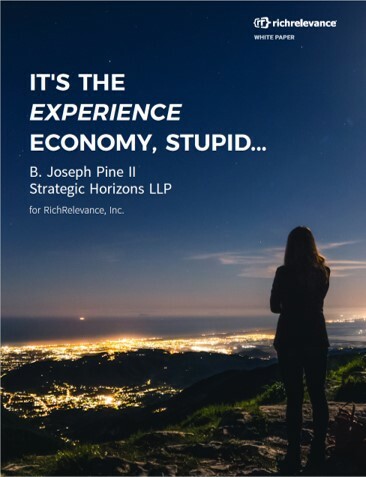 It’s something all online retailers should be doing, as the company shows in this press release, “RichRelevance Launches the New Era of Experience Personalization”, timed with its representation at the National Retail Federation’s annual big January event in New York City. I trust this gives you the desire to read the whitepaper in full so you too can embrace this new era of experience personalization! Yes! This is how and why, Sir. Make sense alm the way to transformations!